Known as one of America’s Five Civilized Tribes, the Choctaws are a prominent Native American tribe native to the southeastern United States. According to the Chickasaw migration story, the Chickasaw and Choctaw tribes began as one entity. However, having origins with the Chickasaws did not prevent war between the two tribes. Throughout the early 1700s, there were several battles between the Chickasaws and the Choctaws, as the Chickasaws were allied with the British and the Choctaws with the French. Despite the fighting, some Chickasaws and Choctaws were able to maintain good relations. After 60 years of war against one another, the fighting subsided. In 1830, the Choctaws were relocated by the U.S. government to Indian Territory, in present-day Oklahoma. They were the first of many to walk the Trail of Tears. Not long after, the Chickasaws were also forced from their homeland to Indian Territory. 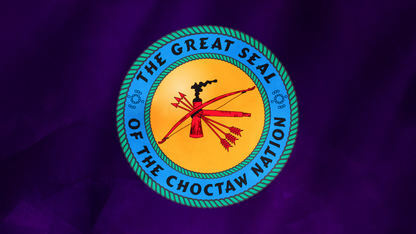 Now the Choctaws and Chickasaws are close nations who often call themselves family with familiar ancestry.